Hyundai is now aiming to bring as many as 38 “green cars” to market over the next 8 years — with 7 models now slated for release within just the next 5 years — the company has revealed. It should be realized here that that figure (38 models) relate to Hyundai’s Kia brand as well — all 38 models won’t be Hyundai branded (presuming that the company achieves its goals). The majority of the “green” car models will be electric, according to Hyundai Senior Vice President Lee Ki-sang. On that note, it should be stated that Hyundai actually already sells quite a few “green” cars, with the various iterations of the Hyundai Ioniq, the Kia Soul, and the hydrogen fuel-cell ix35 perhaps being the most immediately recognizable. The various iterations of the Hyundai Ioniq (Hybrid, Plug-In Hybrid, All-Electric) are particularly notable in that regard — being relatively affordable, very fuel efficient, and fairly practical for most people. All of that said, Hyundai has to date perhaps done less than some of the other major auto manufacturers out there with regard to plug-in electric vehicles. 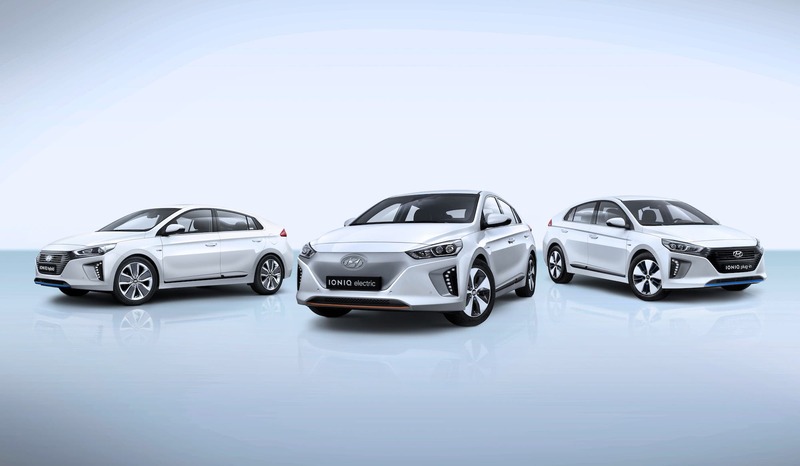 Times may well be changing, though, and Hyundai is in the position now to gain significant market share if more offerings like the Ioniq are released soon.